Tui Village is a privately owned 72 bed hospital and rest home facility situated between Takanini and Papakura. We take pride in both the care we provide as well as the homely atmosphere many of our residents and their families praise us on. Our building is new, modern with climate control throughout, heated bathroom floors and mostly ensuited rooms. We provide 24 hour nursing care and will attend to your needs whilst encouraging and supporting you to return to your optimum level of wellness. Our hospital service caters for up to 31 people, with most rooms having a private en suite. We have the latest equipment available and our nursing staff are highly skilled in several areas of hospital care including palliative care, spinal injuries, COPD and older peoples health issues. We also have a contract with ACC. We have resthome services with at least one registered nurse on site at all times. We also have resthome certified units available, one or two bedroom with a kitchenette. There is an additional assessment we can carry out to establish if you are suitable for these. We have 2 houses for poeple who can live relatively independent needing minimal assistance. Residents in these homes are expected to be able to make their own breakfast, carry out basic house keeping chores such as bed making and keeping their room tidy. The houses are not suitable for people who require home help or significant nursing assistance. We can offer short term care (respite care) at Tui Village for a range of reasons. Our staff have extensive training in all areas of rest home and hospital level care. We are a stable team of mostly women caregivers, cooks and registered nurses who have enjoyed working together for a number of years and are proud of our low staff turnover. We enjoy an environment which is supportive and fun to work in. Our client to staff ratio exceeds contractual requirements to ensure we can tailor to each of our residents needs. All of our staff take part in a monthly training regime focusing on all aspects of well being, ensuring our residents are cared for in the best possible way. Capella House has recently opened in Block House Bay (Auckland DHB).Capella have multi purpose for both dementia and hospital care. Click on the link to find more information about Capella House. 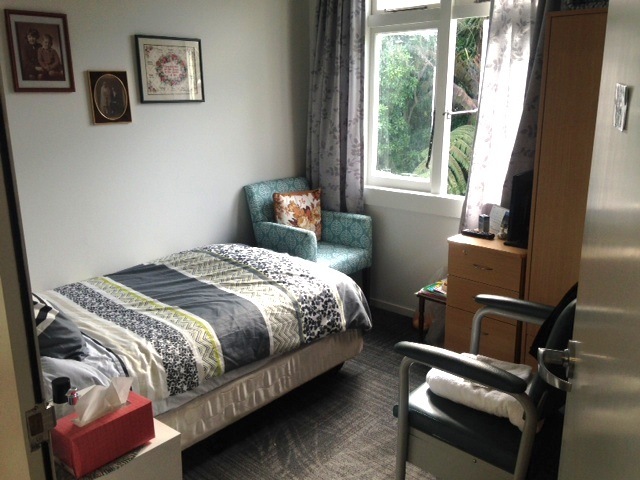 Karetu House is one of our sister Rest Homes, located in Greenlane (Auckland DHB). Click on the link to find more information about Karetu.